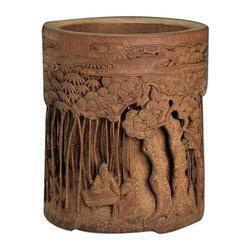 We specialize in providing a broad range of Bamboo Carving - Pen stand-Table Decorative Items. It is known for its perfect finish, eye-catching designs and long lasting features. Bamboo Carving - Pen stand-Table Decorative Items provided by us is highly demanded in offices, institutions and residences.